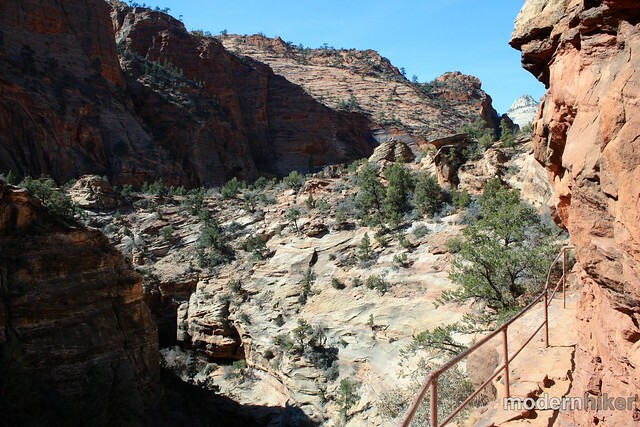 A mile-long hike near the park’s eastern entrance, the Canyon Overlook Trail is a wonderful introduction to Zion Canyon (or a nice look back on your way out, too). 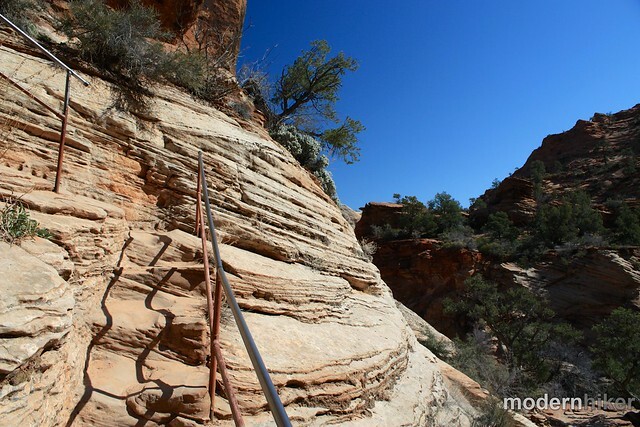 This short but fun trail will take you over slickrock, above slot canyons, and into some small alcoves before giving you a phenomenal view of the canyon floor from the east. Just to the east of the park’s eastern entrance, on the way to Mount Carmel Junction, there’s a short but sweet trail right next to the historic Zion – Mt. Carmel Tunnel called the Canyon Overlook Trail. If you’re on your way into the park, it will give you a good introduction to the geography and geology of the region – and if you’re on your way out it’s a nice way to gaze one last time at one of the most beautiful places in the country. The trail starts right before the eastern entrance to the tunnel. Look for a trailhead sign and a set of stairs cut into the rock. After a steep climb, the trail remains relatively level. Almost immediately, the canyon opens up into some dramatic, otherworldly landscapes … even though you can’t actually see Zion Canyon until the end of the trail. 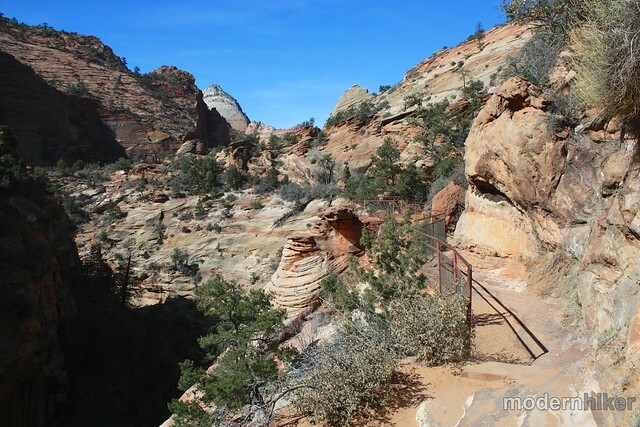 For such a short and relatively easy route, the Canyon Overlook Trail passes a stunning variety of landscapes. 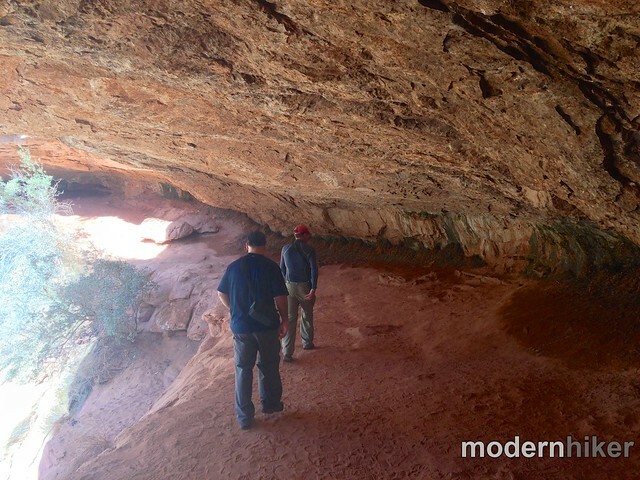 You’ll meander past deep slot canyons, cling to slickrock walls, and duck under some gnarled pinon pines – all while soaking in the amazing red rock landscape around you. 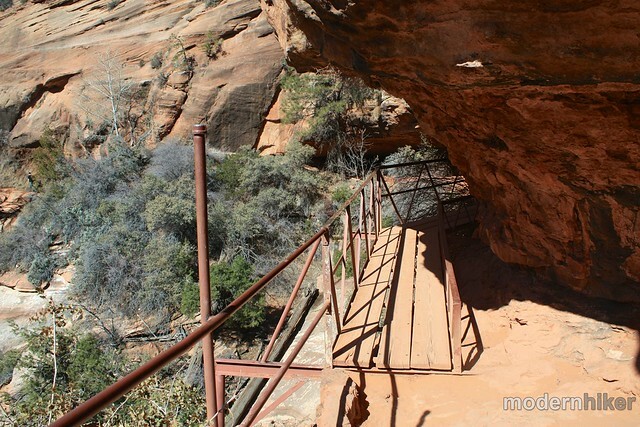 There is one very short section where you’ll have to cross a small wooden plank bridge into an alcove. If you’re extremely nervous about heights, you might have to take a few deep breaths but it’s nothing to be afraid of. After a short distance, the trail comes upon a small slickrock slope. 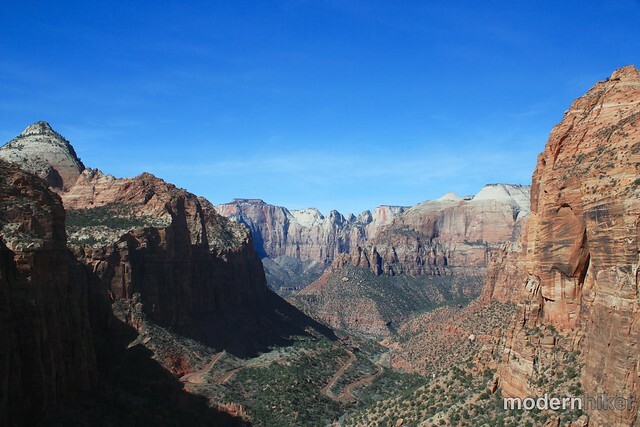 Climb this final obstacle and your reward is a phenomenal view of the canyon floor below you (and the switchbacks of the Zion – Mt. Carmel Highway, too!). 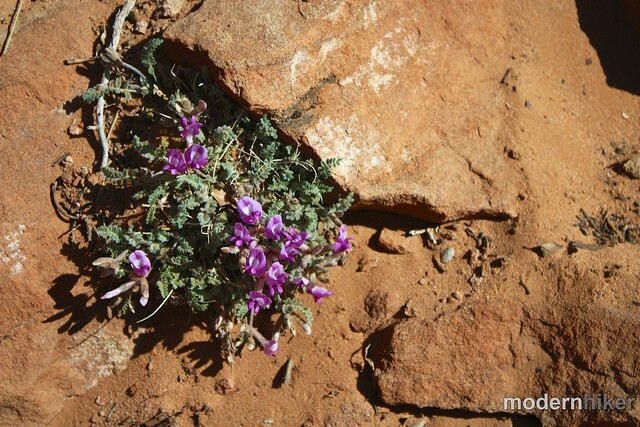 Return back the way you came – making sure you take time to notice any hidden gems the desert might be showing off along the way. 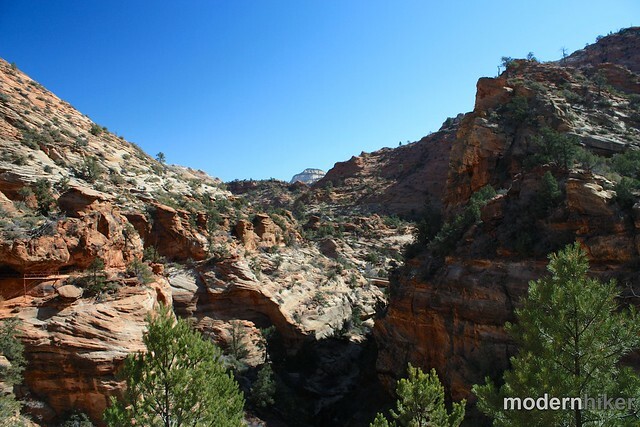 Note: The Zion – Mt. Carmel Tunnel was built in the 1920s and cannot accommodate some oversized vehicles. If you have a large vehicle, you will have to pay an additional fee to have the tunnel closed to two-way traffic for you. During the winter months, you’ll have to make this request before your arrival. Visit the Park’s Tunnel Site for more info. Very good. This trail has a small paved section, then heads into mostly slickrock territory where you'll have to pay attention to stone cairns to find your way. There are a few small scrambles and steep drop-offs but nothing that should give you any pause. 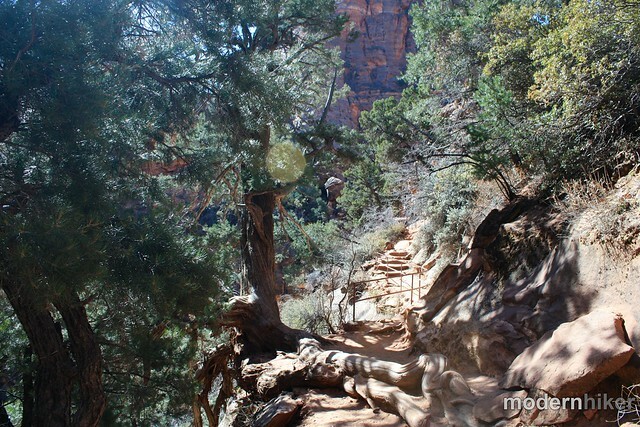 This trail is just to the east of the Zion - Mt. Carmel Tunnel on the park's eastern side. 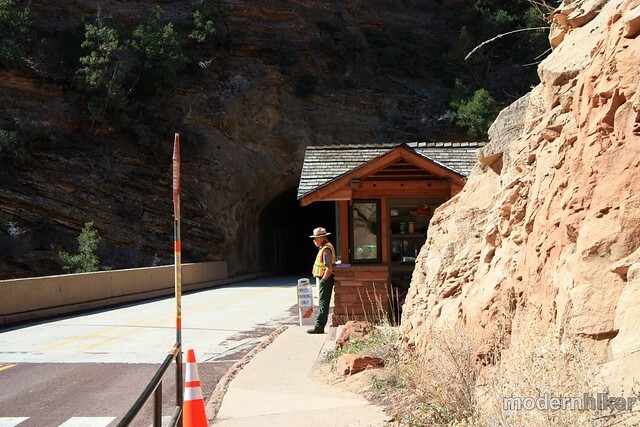 There are a few very small parking areas near the tunnel's eastern entrance. If you can't find a spot there, you'll have to head a bit further east on Route 9 to find a place to pull off the road.